Many of us have recently enjoyed watching the Winter Olympics. The competitive spirit of the athletes is enhanced by the beauty of the snow and ice and the vistas in South Korea. Back in our region, snow and ice can be dangerous for homeowners and subject them to damages for injury to person and property. Of course, young children are most susceptible to injury and tragic consequences are sought to be avoided. Homeowners should take reasonable measures to avoid dangerous conditions caused by ice and in warmer times, swimming pools. Let’s imagine that a young couple purchases a lovely home overlooking a lake. What a wonderful lifestyle to be enjoyed. Skating on the frozen lake in the winter and swimming in it in the summer. 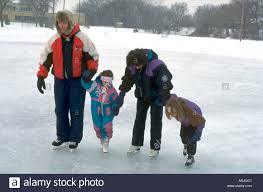 However, should the lake not be sufficiently frozen, and a person falls in as a result and drowns, the homeowner could be subject to a claim for personal injury if he did not take adequate measures to protect against harm. Some of these measures are limiting access by fencing or a gate with a key and posting signs in multiple languages advising of the danger. Swimming pools are also what can be termed as an attractive nuisance. Using them is appealing to neighbors, even if not invited by the homeowner. Those who are unable to swim or are impaired by drugs or alcohol can be injured if they have easy access to the swimming pool. As with the lake, it is essential that a locked gate or fence surround the pool. Also, potentially a pool alarm should be installed to alert the homeowner to unauthorized use. These measures are important even if the properties are spaced far apart, as in some areas served by our firm. In the Olympic venues, snow is manicured so that the athletes can compete at their highest level. However, in the real world, management of snow plowing responsibilities between neighbors with a common driveway or shared easement needs to be settled. For instance, if two neighbors share a common driveway or easement (a right to cross or otherwise use someone else’s land for a specified purpose), it behooves them to negotiate a common driveway or easement maintenance agreement and have it recorded in the land records so that the world and potential purchasers can see the agreed responsibilities. That way, it will be clear to the current property owners and those succeeding them of the responsibilities for the care of the common area. For instance, an agreement may state that the snow will be plowed when it exceeds three inches and salt will be applied. Our attorneys are prepared to advise our clients as to their responsibilities concerning snow and ice so that legal liability for injury is avoided.